Ahmad Ardalan is a two-time cancer survivor. He was born in Baghdad in 1979. At the age of two, he moved with his parents to Vienna, Austria, where he spent most of his childhood and underwent his primary studies. After his father's diplomatic mission finished at the end of 1989, he returned to Iraq, where he continued his studies and graduated from the University of Dentistry. As a result of the unstable political, military, social, and economic conditions in his home country, Ahmad decided to leave Iraq and move to the UAE. After facing difficulties to pursue his career in dentistry, he opted to pursue employment in the business world. 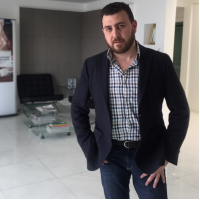 Since then, Ardalan has held several senior roles within the pharmaceutical and FMCG industries, throughout much of the Middle East. 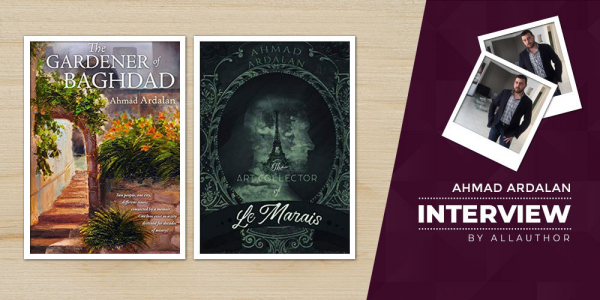 His early childhood in a mixed cultural environment, as well as his world travels, increased his passion for learning about cultures of the world and inspired him to pen The Clout of Gen, his first novel. After eleven years of being away, Ahmad returned to Baghdad in January 2013 on a visit that was full of mixed emotions. Inspired by his trip to Iraq, he wrote his second novel, The Gardener of Baghdad. He did not stop there, as "Matt" his latest Short Story Thriller Series will be available beginning 2015. 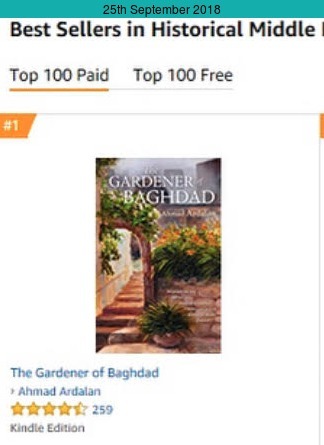 The Gardener of Baghdad, opened readers’ eyes to a different picture of the city they had heard of. With hope and love as his message, Ardalan released Baghdad: The Final Gathering, and followed it by The Boy of the Mosque.